Unless you have your "foot on the front bumper" & allow time for the turbo boost to build up, the turbo engine seems kinda-sorta sluggish around town, stop light to stop light? A 110/PG "feels" like a better "Real World" powertrain to me?? Not just you and certainly not just me and you. > Not just you and certainly not just me and you. Yup. Give me a 140 with a hot cam any day. True for a bone stock turbo. Ditch the yh in favor of a qjet or just about anything but a yh and try again...you'll be singing a different tune! Link to this qjet and other options of which you speak? NOW: 1966 Corsa 180 Turbo Coupe Blue. Blue/Beige interior. > again...you'll be singing a different tune! Eric, I dont know about qjet, but a side drafy weber or a 2" SU, both have been proven. Willing to try anything. I bought this car to do more than look awesome. I bought it to drive. So where do I buy one of these carbs? Edited 1 time(s). Last edit at 11/06/2018 08:50AM by playerpage. > town, stop light to stop light? A 110/PG "feels"
> like a better "Real World" powertrain to me?? 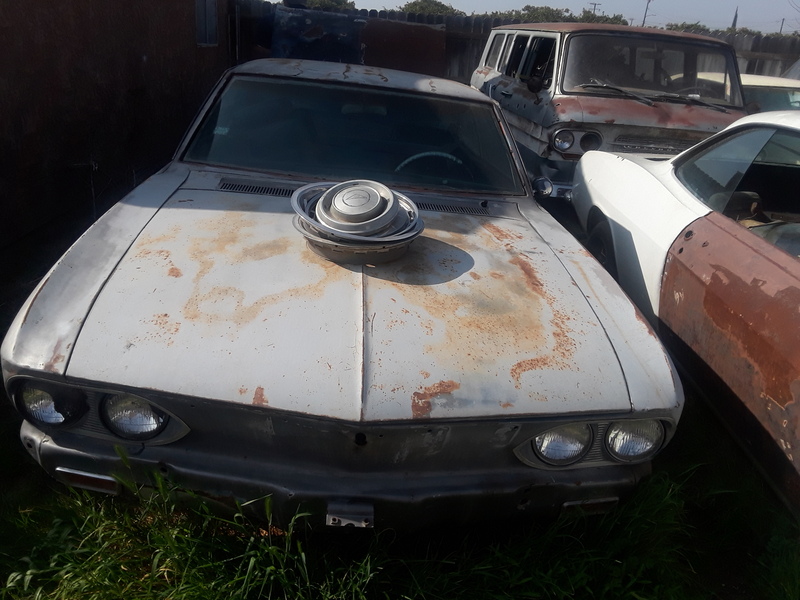 Talk about the demise of the Corvair..it was a lot more than Nader..I don't think GM was even trying..
What's wrong with blowing through factory carbs? I think it was the bean-counters hard at work. GM engineers had the know-how, as evidenced by the Olds turbo, but on the Corvair they wanted to control boost at the lowest possible cost i.e. NO additional hardware controls. I agree with Eric on the "look awesome" part. 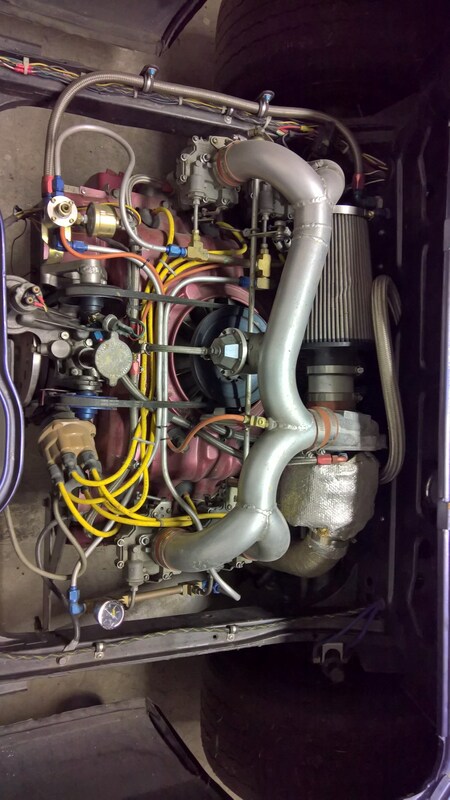 I really like the looks of the totally stock LM turbo engine when it is nicely cleaned up. But I prefer the look of the totally stock nicely cleaned up '66 140HP with factory A/C. YMMV. The Olds 60's F-85 turbo design was literally decades ahead of it's time and a credit to GM engineering. However, without modern (and reliable) controls it got a bad reputation. When it worked it was impressive for the time, but complexity was it's downfall. 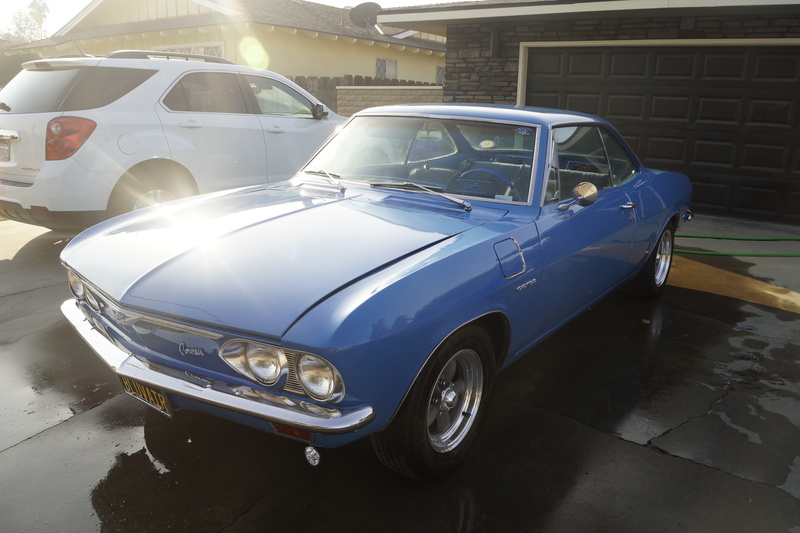 The Corvair turbo was simple, but slow to boost. That said it was reliable and worked well in 3rd and 4th gear. Pick your fun and pay the money as they say. A TB-20 cam and 95HP heads makes a world of difference in off-boost performance. Mine is quite "zippy" off boost. I loved my 66 Corsa, with a 95hp in it. It was originally a turbo car, and I acquired everything to build a completely stock Turbo motor - lots of new and NOS parts. After it was running well....I hated it. Not long after, actually sold the car. Honestly, the only thing I don't like is that when it is running well, and flat out, it is so loud. I can barely hear the super-cool radio I put in before tackling the engine. Mine has good low-end with a 260 cam. The only time my turbo corsa felt good was when I was breaking the law. (65-100 mph). When I bought my 66 turbo it had been modified with 110 heads and maybe other modifications that I don't know about. It performs great with good power at low speed and excellent acceleration at highway speeds. Having never driven a stock turbo I can't make any comparison but I certainly am satisfied with the way it is set up.